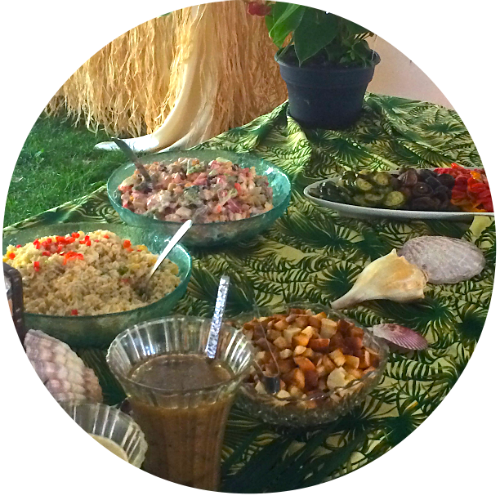 Transport your guests to a tropical paradise of food with our Big Kahuna Luau menu. 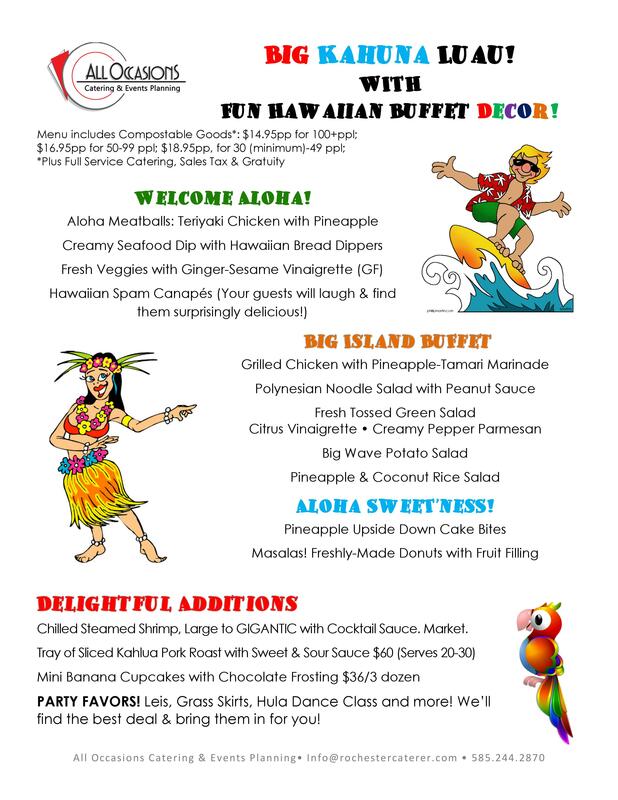 This tropical luau menu, filled with all your Hawaiian favorites, is perfect for your next summer party, corporate picnic, grad party and more!! We make your Luau a hit!! Our team will set up the perfect Hawaiian Luau display on your buffet or picnic table. Your guests will love the FUN decor that comes with this party.